A method to gain more information from the blood of cancer patients than formerly possible has been formulated. The discovery could potentially speed up early diagnosis, accelerate drug discovery, and lead to developments in personalized medicines. The study* funded by Cancer Research UK has been reported in Advanced Materials recently. Researchers from the University of Manchester collected blood samples from women with advanced ovarian cancer who were treated with a type of chemotherapy known as CAELYX®. This chemotherapy drug is contained in a soft, lipid-based nanoparticle, called a liposome, which serves as a vessel to help diminish side effects. The blood sample was taken from the women following an injection of CAELYX® over a course of 90 minutes as part of their treatment. By extracting the injected liposomes, the researchers were able to detect a wide range of biomolecules that stuck to the surface of the liposome - called the ‘biomolecule corona’. We’re astonished at how rich the information was on the surface of the liposomes taken from the blood. We hope this technique could be a springboard for further research, from monitoring disease progression or recurrence, to identifying which treatment is best for each patient and potentially finding new biomarkers for early diagnosis. Kostas Kostarelos, Professor and Lead Author, University of Manchester. 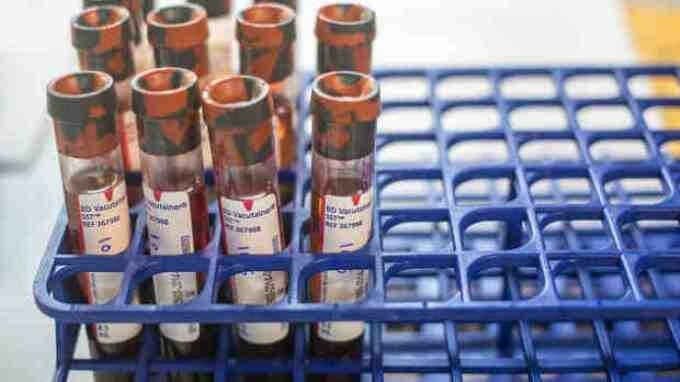 This is a step forward in developing a better method to collect information from patients’ blood - a ‘halo effect’ of biomolecules sticking to the liposomes has been witnessed before, but only after dipping the nanoparticles in blood samples in a tube outside the patient’s body. The blood is a potential goldmine of information, but there’s a challenge to amplify cancer signals that would otherwise be buried within the ‘noise’.More abundant proteins mask rarer and smaller molecules that could be significant in helping us to understand disease progression or finding potential new drug targets. This technique overcomes this challenge. Dr Marilena Hadjidemetriou, Study Author, University of Manchester. The scientists currently hope to utilize this method in mice to help discover the best patterns of biomarkers to identify cancers in the early stages of disease as part of their Cancer Research UK Pioneer Award, which funds pioneering ideas from any discipline that could transform people’s understanding of cancer. *Hadjidemetriou et al. The human in vivo biomolecule corona onto PEGylated liposomes: a proof-of-concept clinical study. Advanced Materials.